For Israel the painful thorn (bush) are like the hostile countries having Muslim faith pressing in on them...but also secular nations in general. BUT MOST of Fritz Springmeier's ministry is exposing the Briars. or the Briarmen. Briars do not have their own strength but wind around existing hedges for their strength and gradually throttle their host plants. The reason this is such a key concept is deeply bound up with what originally went wrong in Genesis 3, and as such is deeply familiar to every human being on earth. People call it the human condition. "Oh I'm only human". That's the problem right there....we're not. Originally literally powered by God's Divine Life, which Peter describes in 2 Peter 1:3. So it's calling the "acknowledging of Him...His Life in us"....what others may call having faith in Christ. Again in proverbs 3 it says acknowledge Him in all your ways. So this acknowledging process is the kick start of continual consciousness that we live by the Power of His Life. Not only that....what we weren't told was that our new and supposedly separate godlike existence...was actually not powered by us....he had lied.....since we have to be powered by some deity spirit power....now it was at one remove from the True and Holy Life Source....we were powered by the devil's own spirit. His spirit is self for self. one of the first things we notice at our deepest insides, is the moment we are born again we begin properly loving again....and NOT just to be loved back. We love because we love...because this is the nature of God's Life within us. Herein , says John, we know we have passed from death to life!!!! 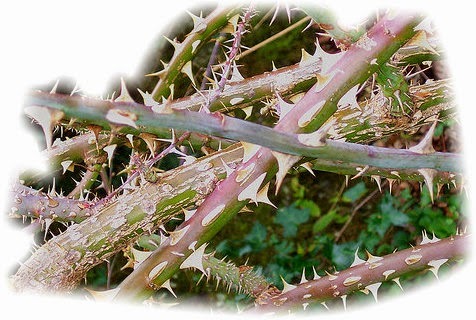 So the very nature of Satan's life is to be a briar. He can't be selfempowered either. He is God's life too....but at one remove....twisted in on himself to be a self for self being. There in the middle of God's earth is not primarily Abraham or Isaac....no the scenario is TITLED Jacob. What does Jacob mean? Twister. Usurper. Deceiver. Which character is chosen preeminently above all others in the Bible to MOST REPRESENT THE CALL OF GOD upon men in the Earth. Which person became the pattern after which a whole nation was named? I maintain that the Spirit has told me that the whole Ezekiel 28 scenario is nothing less than a huge national rerun of what was essentially the story of one man before...this time it's the whole house of Jacob. Who else met God in a day? Well in the total sense of these passages? YUP....Jacob at Peniel, when His Name was changed to Israel. or Prince with God. or One who prevailed with God. Briars, and because there are briars within....there are thornbushes pressing from without demanding that there is something wrong with us. Who can deliver us? Thanks be to God Jesus Christ is the cornerstone of a brand new building....and He already HAS DELIVERED US. But not as we were. This is why it has taken the best part of 6000 years at least to see exactly how the devil has pulled this off. You see he was masquerading as us. and we learn...AHA....it's not all me....something else is happening. It's a double edged sword moment. We realise two things. I am of myself nothing. I am not nor ever was a selfpowered soul. it's in Romans 7 when nothing that always worked before now works for us. All our standard tricks nolonger pull off deliverance. We are desperate. Some call it the Dark Night of the Soul. You could call it "the realisation we are not selfpowered souls." if it's not me....what is it? Ahhhhh....it's sin in the flesh. This is NOT the SAME as the American Southern State Black pentecostal woman stereotype declaring the "devil made me do it". NOPE. We have free will. We can't slopeshoulder that easily. WE ARE TO BLAME. But only because we are NOT as Christians acknowledging GOD living His Life through us. Somewhere we blanked out and thought we were running our own lives again. WHICH ACTUALLY ISN'T. This false delusion of being "self-powered" is actually Satan's own spirit and so we are forced to exhibit his desires, his lusts, his agenda. That's the trick Satan has pulled on us. And is the reason that the same list of bad character traits that Jesus ran through concerning the Pharisees and Saducees in Matthew 6 and Matthew 23 are still just as relevant today in evangelical churches and charismatic churches. THAT's the REAL source of the BRIARS that extend right round the earth into every government, every form of religion, every force for GOOD...in fact especially in every FORCE FOR GOOD. we call this delusion now living in separation. Christ has put us in Union at the level of spirit. This is what Galatians 2;20 means. It is the most radical discovery since the Fall itself, since it is the thing that begins unwinding ALL the curses upon earth....BUT...unlike in Deuteronomy 28....as a works based fruit....this is ABSOLUTELY COMPLETE because it goes to the source of why we do anything. Some of the 1950s saints began putting this all together but it has fallen to a real time fulfilment of Psalm 24 and Psalm 110 in my lifetime and my generation to literally hunt God down for all the missing strands together. Graham Pulkingham who wept 3 months on a crypt floor in his episcopalian church in Houston and the 20th Century co founder of WEC Norman Grubb, were all putting together strands. 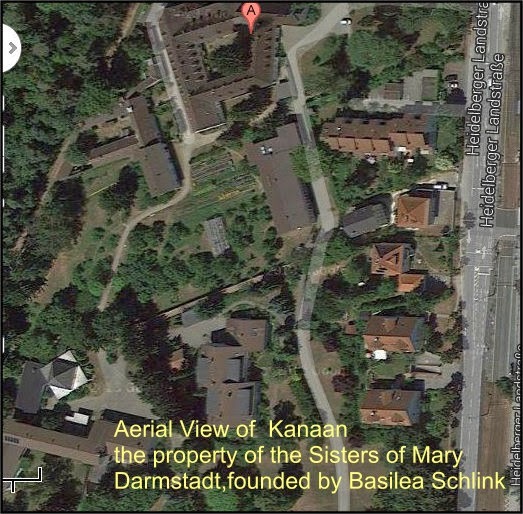 Basilea Schlink got as far as founding the community at Darmstadt where they literally began seeing the release of Creation in their thriving gardens and fields. SO if we are to see the OUTER BRIARS curl up shrivel and die it will only be as we see our own inner briars dealt with at source by fully understanding the TWO PARTS OF THE CROSS. Romans 6 to 8 is about our identity, and how our very identity changed at the Cross too. The devil wants to establish his congregation of the single eye. Where people live from his spirit single eyed for him alone: the eye in the pyramid. JESUS CHRIST is forming His Body who have a single eye for HIM ALONE. Everything at the end of the day is about FIRSTLOVE. Who is our agenda? God or the Devil. God or selflove. wow....I think you are getting it. your will be done ON EARTH as it is already because I am looking at it...in heaven! !